Baguio City is a popular tourist spot in the Philippines for both foreign and domestic tourists. It is well-known for it's cooler temperatures, mountains, pine trees, fresh strawberries, and more. Many people enjoy going there to experience hiking, horse-back riding, zip-lining, and just nature walks. If your budget is small though, it can be challenging to know exactly what hotels are the best and the most affordable. #1 - Azalea Residences Hotel: Set in a prime location of Baguio City, Azalea Residences puts everything the city has to offer just outside your doorstep. The hotel has everything you need for a comfortable stay. Facilities like coffee shop, restaurant, car park, elevator, valet parking are readily available for you to enjoy. Designed for comfort, guestrooms offer kitchenette, television, DVD/CD player, in room video games, inhouse movies to ensure a restful night. To enhance guests' stay, the hotel offers facilities such as a spa and a garden. Rating: 4 stars; Our personal favorite! 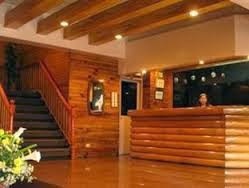 #2 - Hollywood Drive-Inn Hotel: Perfect location for both business and leisure guests in Baguio City. Offering a variety of facilities and services, the hotel provides all you need for a good night's sleep. Safety deposit boxes, room service, car park are there for guest's enjoyment. Designed for comfort, guestrooms offer mini bar, desk, non smoking rooms, jacuzzi bathtub, air conditioning to ensure a restful night. The hotel also offers great recreational opportunities. #3 - Casa Vallejo Hotel: Great place to discover the wonders of Baguio City, and located very close the SM Baguio City Mall. Both business travelers and tourists can enjoy the hotel's facilities and services. All the necessary facilities, including meeting facilities, restaurant, coffee shop, car park, safety deposit boxes, are at hand. Guestrooms are designed to provide an optimal level of comfort with welcoming decor and convenient amenities like shower, satellite/cable TV, non smoking rooms, wi-fi (complimentary), desk. Entertain the hotel's recreational facilities, including sauna, massage, steamroom, spa. 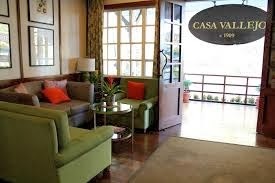 Convenience and comfort makes Casa Vallejo Hotel the perfect choice for your stay in Baguio City. Rating: 3.5 Stars; Another favorite of ours; Recently remodeled rooms! 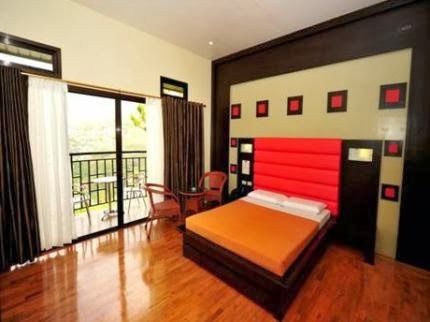 # 4 - Hotel Supreme Convention Plaza: Ideally located in the prime touristic area of Baguio City Proper, Hotel Supreme Convention Plaza promises a relaxing and wonderful visit. Offering a variety of facilities and services, the hotel provides all you need for a good night's sleep. Coffee shop, Wi-Fi in public areas, business center, car park, family room are there for guest's enjoyment. Non-smoking rooms, television LCD/plasma screen, shower, mini bar, internet access – wireless (complimentary) can be found in each guestroom. To enhance guests' stay, the hotel offers recreational facilities such as pool (kids), massage, sauna, garden, outdoor pool. Has rooms for large families with up to 4 beds! 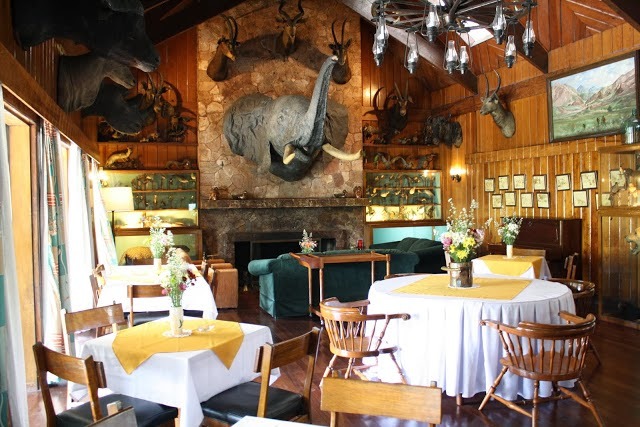 #5 - Safari Lodge: Set in a prime location of Baguio City, Safari Lodge puts everything the city has to offer just outside your doorstep. The hotel offers guests a range of services and amenities designed to provide comfort and convenience. Meeting facilities, Wi-Fi in public areas, smoking area, family room, room service are on the list of things guests can enjoy. Each guestroom is elegantly furnished and equipped with handy amenities. 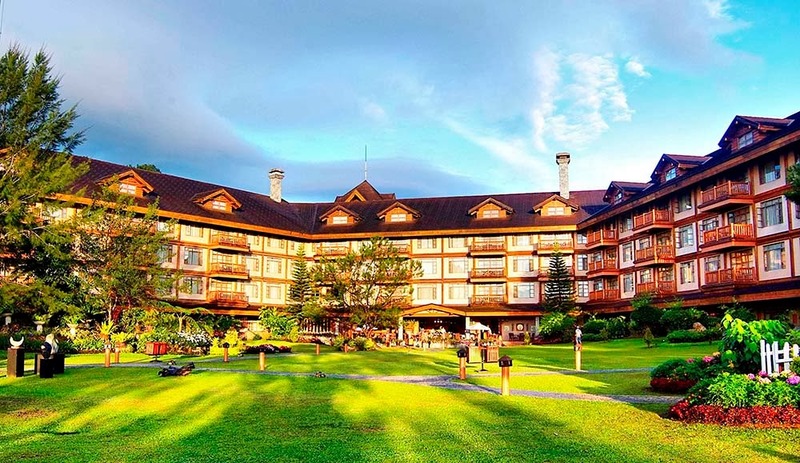 #6 - Mountain Lodge Hotel: The 2-star Mountain Lodge Hotel and Restaurant offers comfort and convenience whether you're on business or holiday in Baguio City. The hotel has everything you need for a comfortable stay. Meeting facilities, restaurant, coffee shop, laundry service/dry cleaning, car park are just some of the facilities on offer. Shower, shared bathroom, internet access – wireless (complimentary), fan, internet access – wireless can be found in each guestroom. The hotel also offers tons of various recreational opportunities. 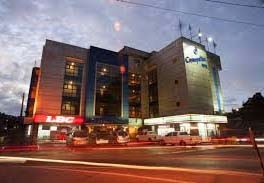 #7 - Hotel Cosmopolitan: Located in Baguio City Proper, Hotel Cosmopolitan is a perfect starting point from which to explore Baguio / Banaue. The hotel offers guests a range of services and amenities designed to provide comfort and convenience. Meeting facilities, elevator, restaurant, Wi-Fi in public areas, laundry service/dry cleaning are just some of the facilities on offer. The well-appointed guestrooms feature television, coffee/tea maker, shower, complimentary bottled water, satellite/cable TV. 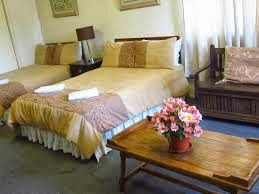 #8 - Paladin Hotel: Ideally located in the prime touristic area of Baguio City Proper, Paladin Hotel promises a relaxing and wonderful visit. The hotel offers a high standard of service and amenities to suit the individual needs of all travelers. Take advantage of the hotel's safety deposit boxes, Wi-Fi in public areas, meeting facilities. Designed and decorated to make guests feel right at home, each room comes with internet access – LAN, non smoking rooms, fan, internet access – wireless, satellite/cable TV. Entertain the hotel's recreational facilities, including massage. Has a very friendly staff, great facilities and a close proximity to all the tourist attractions. Rating: 3 stars; Very clean and modern! 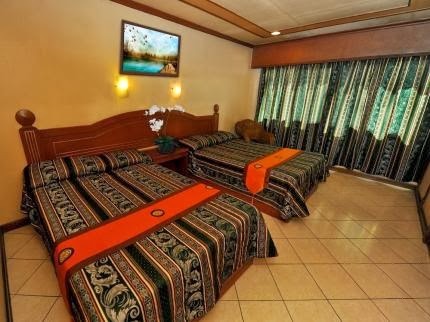 #9 - Eurotel Baguio: Features a complete list of amenities, guests will find their stay at the property a comfortable one. Facilities like disabled facilities, car park, room service, elevator, valet parking are readily available for you to enjoy. 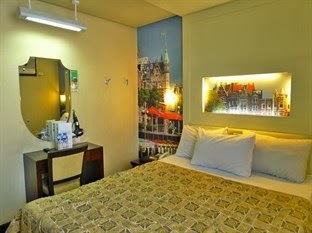 Relax in your comfortable guestroom, featuring shower, air conditioning, ironing facilities, desk, bathtub. The hotel's peaceful atmosphere extends to its recreational facilities which include sauna, massage, spa. Located very close to all that Baguio City has to offer. #10 - Hotel Villa Rosal: A popular choice amongst travelers in Baguio, whether exploring or just passing through. Offering a variety of facilities and services, the hotel provides all you need for a good night's sleep. To be found at the hotel are coffee shop, laundry service/dry cleaning, 24hr room service, tours, business center. Designed and decorated to make guests feel right at home, each room comes with mini bar, in room safe, hair dryer, fan, coffee/tea maker.